The Special Economic Zone (SEZ) is a foreign territory within India for the purposes of trade operations and duties and tariffs, with special rules for facilitating foreign direct investment. 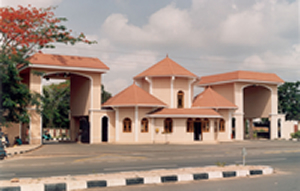 Cochin Special Economic Zone, one of the seven Central Government owned zones, is located in Cochin in the State of Kerala in southwest India. The objective of the Cochin Special Economic Zone is to provide an operating environment, free from the plethora of rules and regulations governing import and export, for boosting manufacturing, augmenting exports and generating employment. 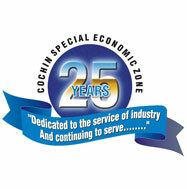 Cochin SEZ also provides much needed infrastructural support to the trade by bridging critical gaps in the infrastructure such as assured water supply, telecom, global connectivity network, banking facilities, electrical distribution network, common effluent treatment plant and upgrading the civil structures. Today, CSEZ stands out amongst the SEZs in India as having the best infrastructure. Government of India has so far invested Rs.95 crore, with Rs.55 crore in the last five years, on developing infrastructure in the Zone. It has a 25 MVA 110/11 KV substation and RMU based power distribution system that is fed from the power-backbone of Kerala, giving it almost fail-safe power; CSEZ is the only SEZ in India distributing power within the Zone. CSEZ has an integrated water management system comprising a 1.5 mld water supply system and a 1 mld common effluent treatment plant. The Zone has round the clock on site customs clearances. The VSNL 15 GBPS Gateway has an installation in the Zone and can provide internet connection through Optical Fiber Cable to users. The Zone has a state-of-the-art 1000 line Telephone Exchange, a video conferencing studio, a Foreign Post Office, SBI Off shore banking unit, a Health Dispensary and Branches of State Bank of India and Indusind Bank with ATM facilities. 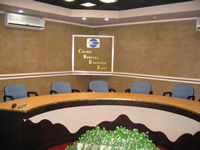 CSEZ has also pioneered public-private participation in infrastructure development. In the IT sector, a 3.50 lakh square feet Software Park, Technopolis,has been developed with private participation at a cost of Rs.40 crore, which is nearing completion. The Government of India had decided in June, 1983 to set up four Export Processing Zones at Noida, Madras, Cochin & Falta. In pursuance of this decision, 103 acre of land for locating CEPZ was acquired during 1984-85. 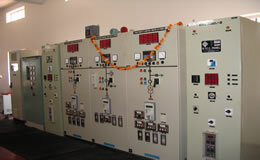 The project with an estimated cost of Rs.15 crore was approved in February 1985, and construction started in May, 1985. The Zone became operational during the middle of 1986 and the first export took place in November, 1986. The Zone was converted in to an SEZ in the year 2000. Approvals: Projects in the SEZ have only to ensure that their foreign exchange inflows (through exports) exceed foreign exchange outflows (by way of imports and import content of sales to the Indian market). Trading, manufacturing, assembly, re-packing, or a combination of these, are all permitted in the SEZ. Foreign equity can be brought in without prior approvals: transactions have only to be reported to the Reserve Bank of India, Cochin in 30 days. Free repatriation of profits, dividends, royalty, and know-how payment is permitted. Branch Offices of foreign corporates are permitted to run manufacturing units in the SEZ without first incorporating a company in India. Indian businesses can also operate in the SEZ without having to incorporate a new legal entity; they only need to maintain accounts and bank accounts separately. The Zone has a statutory Single Window Board to speed up clearances from State Government Departments. Operational Regime in the SEZ: All activities of SEZ units, unless otherwise specified, are on self-certification basis. SEZ units can subcontract production or part of production process even outside the Zone. Units can transfer goods to other units in the Zone without restrictions. SEZ units can import construction material, capital goods and raw materials without payment of duty; no Import Licences are required. Even second hand plant and machinery can be imported. Imported capital goods and raw materials are to be utilized within 5 years. 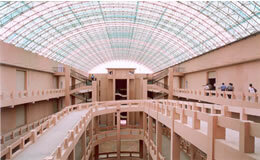 Indian-made capital goods and raw materials are also available duty-free. Exemption is granted from all taxes such as Service Tax, Sales Taxes and Entry Tax. Exports by SEZ units are generally exempted from export cesses. 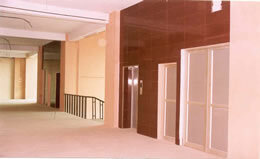 All procedural requirements pertaining to imports and exports are completed by the Zone Administration. SEZ units are permitted to maintain foreign currency accounts and hold 100% of export proceeds in foreign currency. There is no time limit within which export proceeds have to be brought to India. SEZ units can resort to External Commercial Borrowing for funding and running projects without prior approvals. SEZ units can sell in the Indian market on payment of applicable duties. SEZ units in manufacturing get exemptions from corporate income tax on their export income: 100% for the first 5 years, 50% for the next 2 years and 50% of profits re-invested in the SEZ for the next 3 years. Duty-free imports of capital goods,spares, raw materials and consumables required for the approved activity. Duty-free access to Indian capital goods and inputs. Taxes may either be exempt or reimbursed in case they are paid. Preferential access to the Indian market for their service/product: Upto 50% of FOB value of exports can be sold in India at 50% of the usual duties. This is apart from sales in India to EOU/EPZ/SEZ/EHTP/STP units, Advance Licence holders and other notified duty-free eligible categories, which are categorised as deemed exports: deemed exports count for Export Performance and NFEP norms. Obligation to bring in export proceeds in foreign currency within 6 months only, with facility to retain upto 70% in foreign currency in EEFC account. Free repatriation of dividends and profits, without any repatriation tax. Exemption from Corporate Income Tax till 2010: however, this exemption does not apply to trading units, or to profits derived from sales to Indian customers. Automatic approvals system for use of trademarks, brand names and technological know-how, subject to meeting norms such as royalty not exceeding 2% on exports and 1% on domestic sales for use of foreign trademarks/brand name without technology transfer, royalty not exceeding 8% on exports and 5% on domestic sales for use of trademarks/brand names by wholly owned subsidiaries to offshore parent companies without technology transfer, and lump sum payment not exceeding USD 2 million, and royalty not exceeding 5% on domestic sales and 8% on exports sales in case of technology transfer. discharge such other functions as may be delegated to the Development Commissioner by the Board. 8th Main, 4th Cross,Vivek nagar, Bangalore-47.